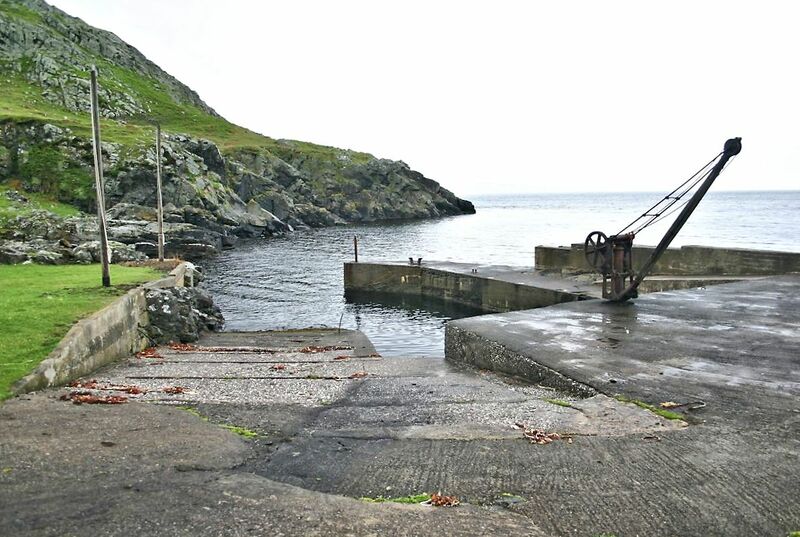 The small harbour and salmon fishery of Portaleen lies under the east side of Torr Head, sheltered from prevailing winds. The tides around Torr Head are particularly treacherous - on a still day when a flood tide is running it roars with the sound of a fast flowing river around the headland. On weekdays during the late spring and summer, a net is stretched across the bay to catch salmon nosing their way along the coast in search of their particular spawning river. The net can be clearly seen from the former coastguard station on the summit of Torr Head. Torr Head is Ireland's closest point to Scotland, some twelve miles away.